Tyrese Gibson Confirms ‘Green Lantern Corps’ Talks With Warner Bros.
It’s been four years since audiences saw a Green Lantern on the big screen. While the 2011 film was a disastrous flop, Warner Bros. and DC are now planning a big-screen reimagining of the character. Rather than just have one human be the Green Lantern, the studio announced Green Lantern Corps as one of their upcoming films for the DC Cinematic Universe during their panel at SDCC just a few weeks back. Since the film is set for a 2020 release, long after Justice League Part 2 is out, its in very early development, but that hasn’t stopped the studio from courting actors. 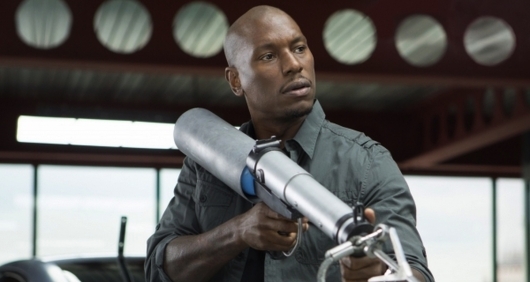 In an interview with Collider, Tyrese Gibson confirms that he has been talking to Warner Bros. about potentially starring in the Green Lantern Corps. More on the story below. Ryan Reynolds took plenty of shots about being the Green Lantern at yesterday’s panel at San Diego Comic-Con, and Wade Wilson (aka Deadpool) even mocked that if he got a suit, it shouldn’t be green or animated. Though Warner Bros might have wished they could turn back the clock and never have made their Reynolds , Green Lantern film, it does still exist. But with DC Films now fully realizing their comic book universe, they are announcing a slate of films of both heroes and villains. During their panel yesterday, Warner Bros. widened the screens at Hall H to reveal all their heroes who would appear in Justice League. We already knew that Batman (Ben Affleck), Superman (Henry Cavill), Wonder Woman (Gal Gadot), Aquaman (Jason Momoa), and The Flash (Ezra Miller) would be in the film, but as the screen continued to flash the Justice League roster, there was no name attached to Cyborg, though previous reports have said that Ray Fisher would play him. 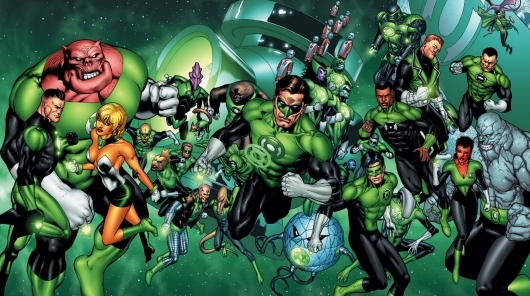 But the biggest reveal was that there would be a DC film for The Green Lantern Corps. More below.